For assembly line and precision work you will need gloves that allow your fingers full freedom of movement. The Ejendals Tegera 9124 Assembly Gloves are made from synthetic leather with flexible Microthan fibre for a superb combination of durability and grip, while their reinforced design offers high levels of protection. The 9124 All Round Work Gloves are designated Category II gloves, which makes them suitable for most intermediate tasks. Gloves is this category are suitable for situations where the risk is not assessed as irreversible. 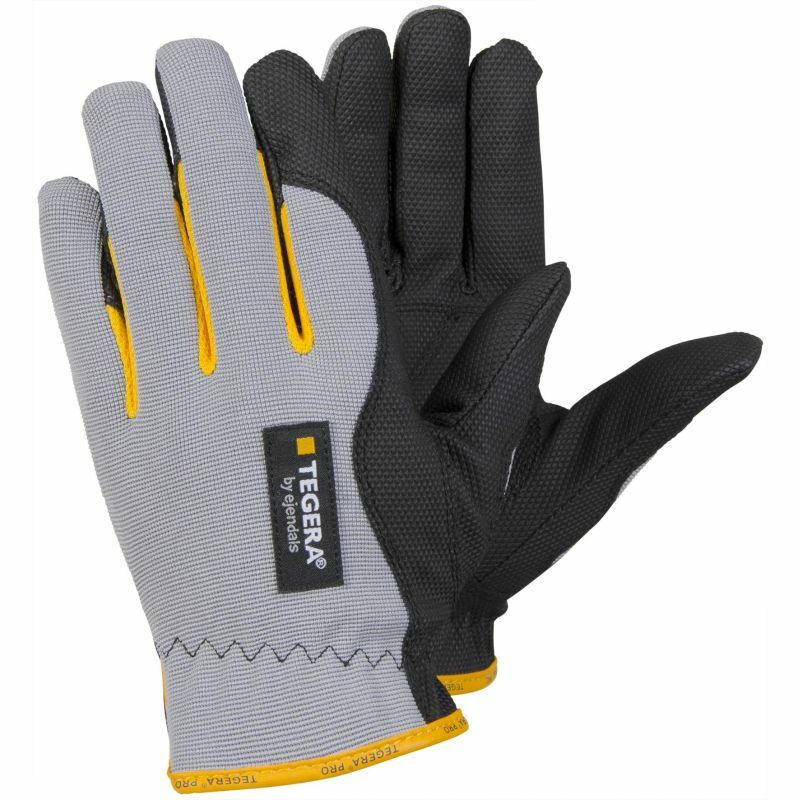 The Tegera 9124 Assembly Gloves are available in six sizes that should suit the hands of most users. Please measure the circumference of your hand around the knuckles (excluding the thumb) with your hand open and your fingers together, and the length of your hand from the tip of your middle finger to your wrist.